Our 2018 NEW EQUIPMENT initiative complements our existing fleet in a customer-centric fashion. Each additional piece of equipment in our expansion plan increases the speed to market and offers cost savings opportunities to our customers. In order for a processor to qualify for “Seamless” processing, we have to consistently produce quality mail and maintain high marks on our Mailer Score Card. Our new equipment allows us to touch everything LESS. Less touches allows us to enter mail into the postal stream without clerk interaction which can eliminate processing delays. 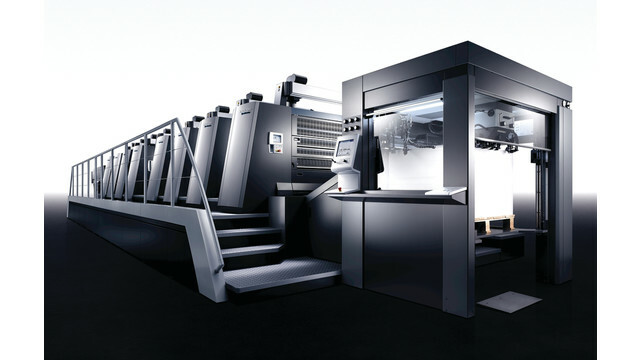 Heidelberg Speedmaster XL106 Press runs 4-color process or perfect 2-color/2 color with in-line coating that increases speed to market and reduces cost. The Speedmaster is also economically friendly too by using UV inks because unlike solvent-based inks, 100 percent of the ink is used. UV ink is a two-part acrylic epoxy, the A part is the ink itself with recepters to be activated by the B part which is UV light. UV ink is an instant cure (dry) process, which means no dry time which equates to zero wasted time. Due to UV technology, the Hawk provides our direct mail clients the capability of inkjet printing on a wide range of paper and coated gloss stocks at high resolution. There is a significant savings in ink cost with the Hawk 600v over cartridge based systems. The high-flying Hawk has robust and reliable print heads that designed for a broad range of industrial and commercial printing applications. Increased speed saves time and money which equals to a significant savings in ink cost passed along to our customers. Less touches- Our new system will allow us to camera match, insert and inkjet all in one process. Speed to market-Less handling requirements and high production capabilities will decrease internal production times. Other enhancements with the new equipment- The stream feeder design also allows for additional versatility in product orientation. Speed to market- Additional output capacity will reduce our manufacturing time by 50% reducing our time to market. Our 6180 allows us to provide MICR (magnetic ink character recognition) printing services to our clients. The stitching unit allows us to provide inline finishing for both color and B/W work.